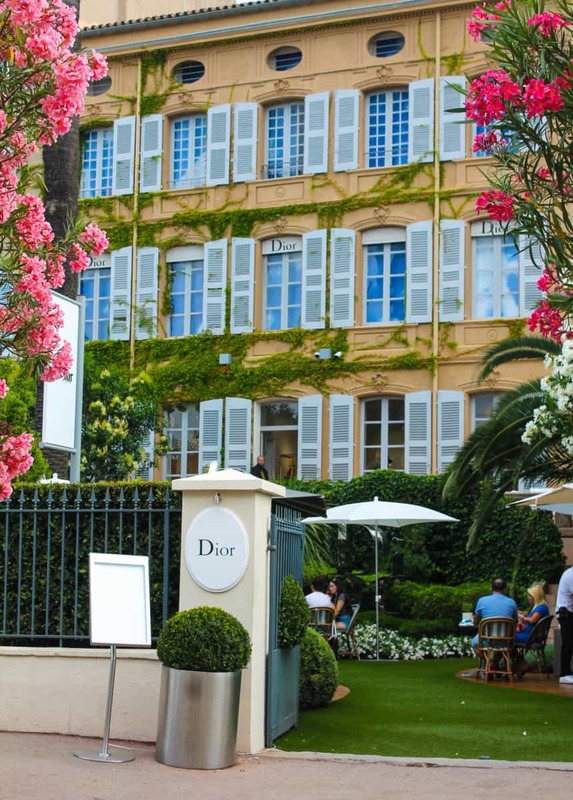 Visit Saint Tropez. 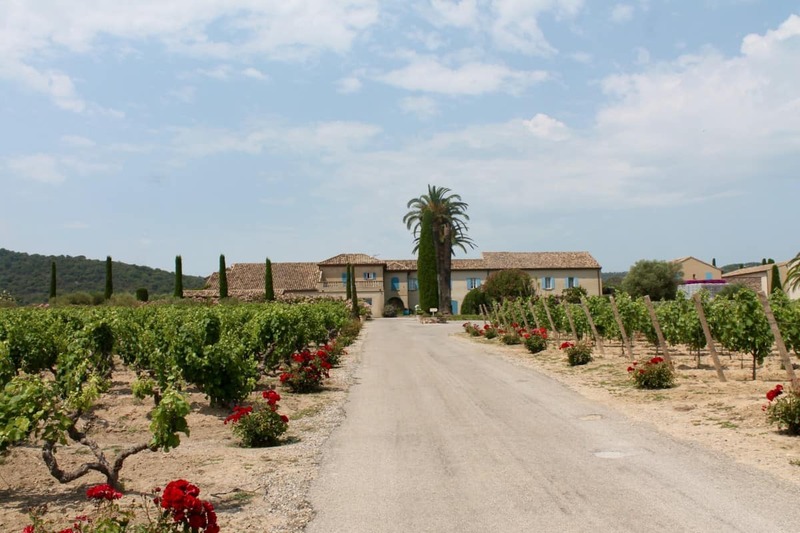 Are you spending the summer in the South of France? 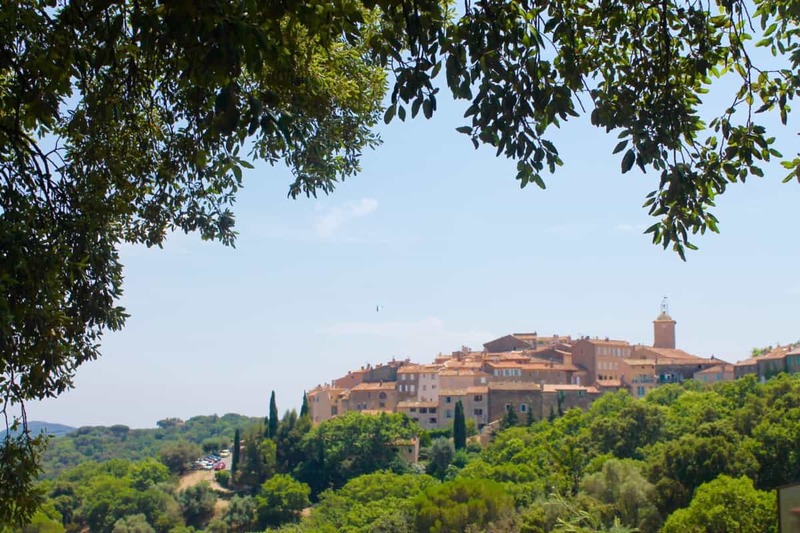 Take a day out in Saint Tropez or take a few days out to explore the area. 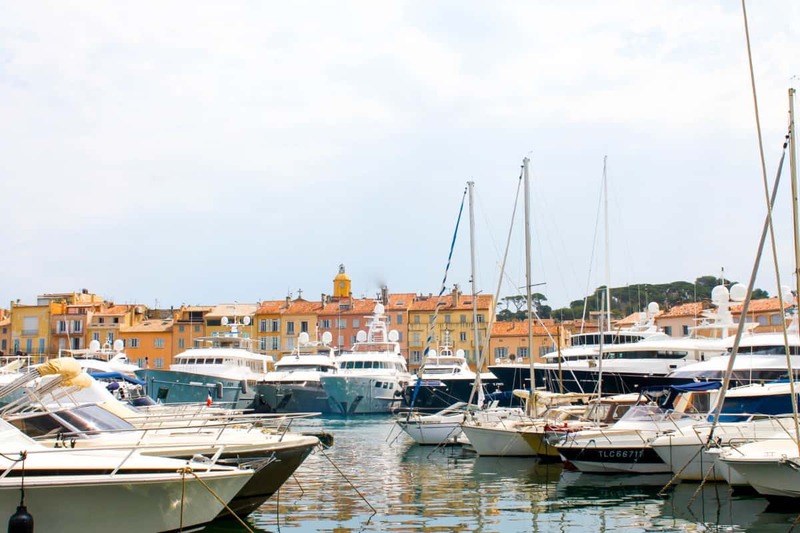 Although the glamorous heyday of Saint Tropez is over, it is still a cool and fun place to spend a few days during your holiday. I am writing about my ideal day out. Arrive early and beat the crowds. Park in the new Port car park and walk around to the Port, stay by the sea and you can’t go wrong. The port is always entertaining with enormous yachts somehow squashed like Sardines in a tin into the small port. 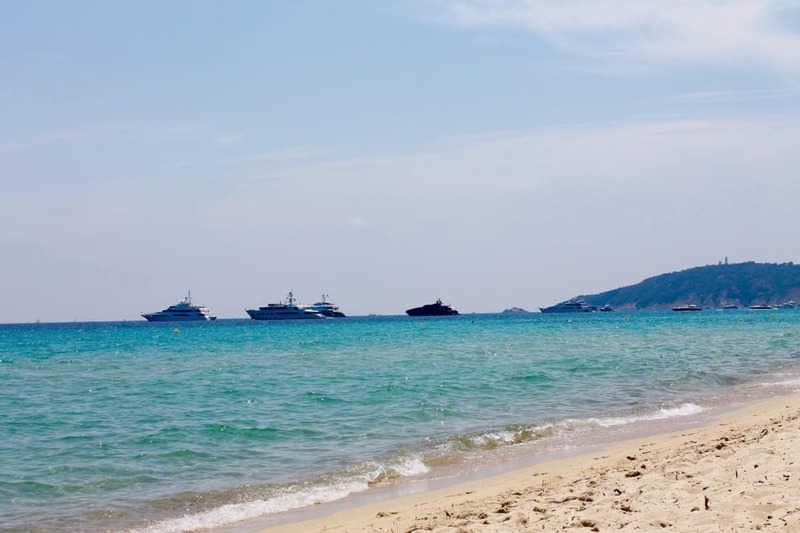 It is definitely a paradise for show off’s and to parade their enormous boat to the world! Artists with an array of varying talent display their artworks sit on the harbour front. Take time out for a coffee and then visit the l’Annonciade Museum which is on the right hand side as you walk into the Port. 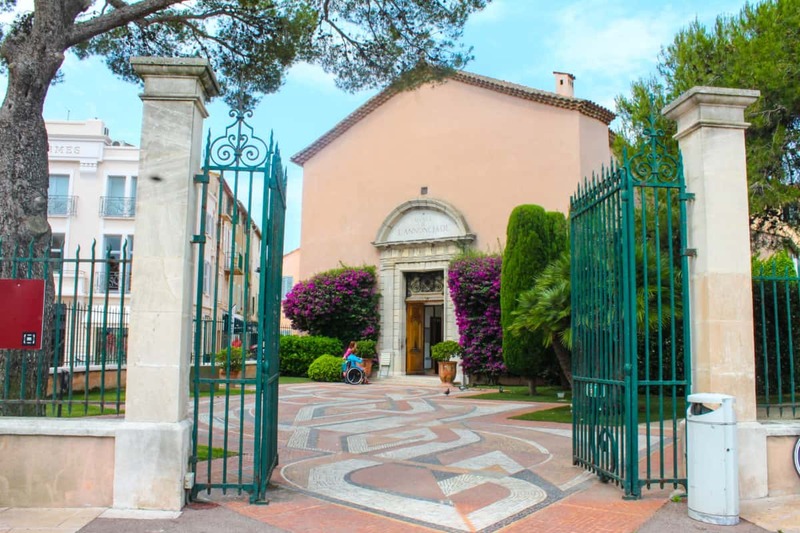 Definitely worth popping in with its collection of 20th century art much of it from the Saint Tropez area. Matisse, Vlaminck, Bonnard are among the many artists represented at the museum. 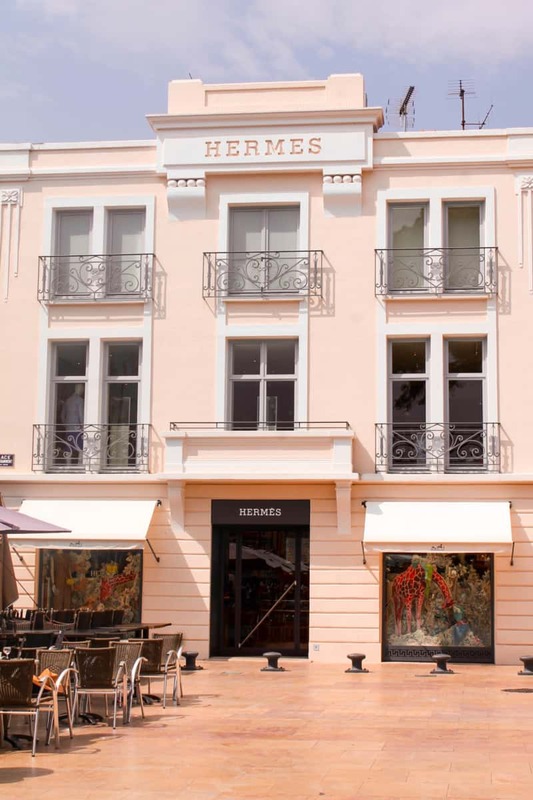 Right next door is one of my favourite shops, Hermes. Time for a little retail therapy. 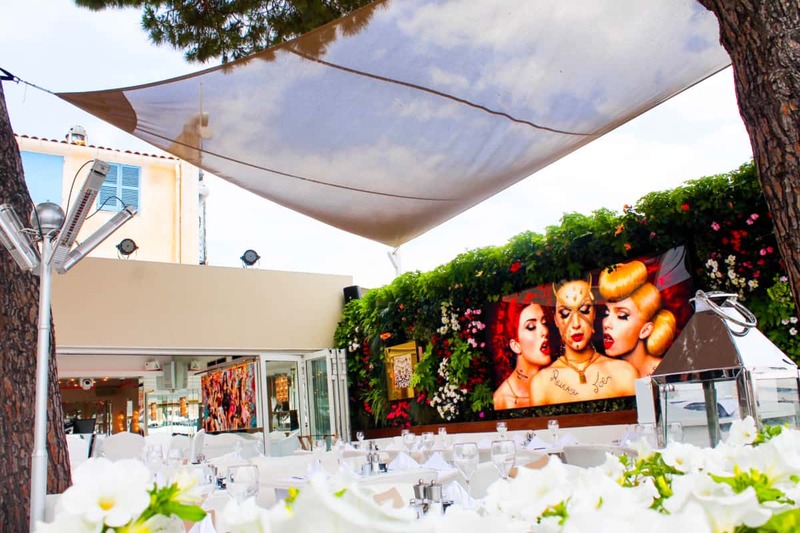 You will love the gorgeous little boutiques with one off pieces and things you will not see anywhere else. There aren’t any boring high Street stores. One of my favourite boutiques is called Marie (very appropriate!) for one of summer dresses. My favourite shop, Marie, is in Rue de la Citadelle and Sentiers near a little arcade almost next door which has a sweet little coffee shop too! There are all the top designer stores here but I like to shop in the little boutiques and find unusual pieces. Of course, you must buy a pair of Les Tropeziennes sandals at their little shop. Don’t forget to buy a Tarte Tropezienne available in all the Boulangeries, yummy cream and strawberries in a light sponge – delicious. Time for lunch on the beach, drive to the beach for lunch. 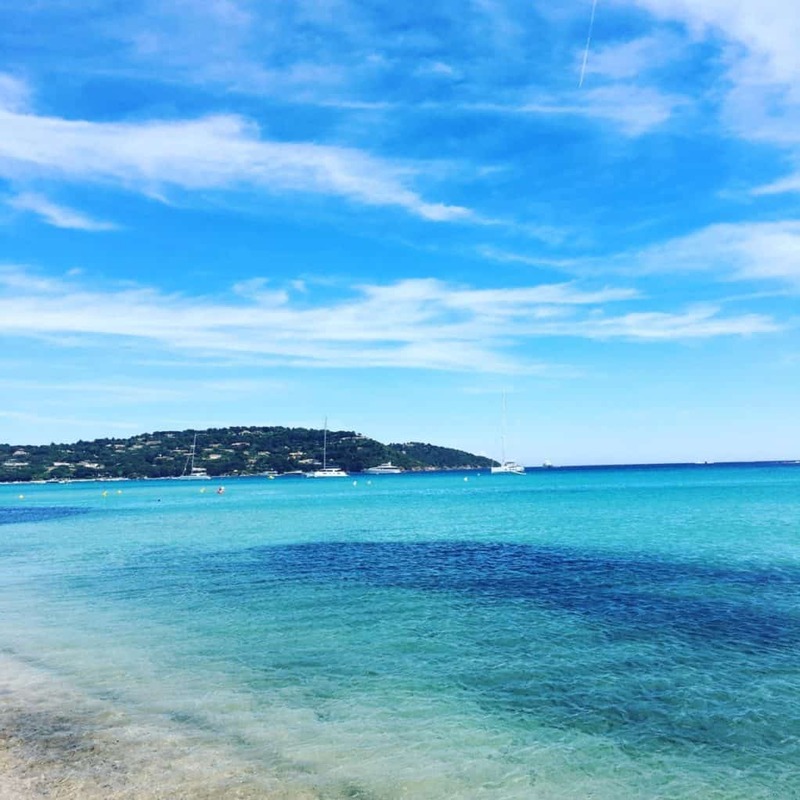 The beaches are my favourite place to have lunch in Saint Tropez and you are really spoiled for choice from expensive places such as Club 55 http://www.club55.fr on Tahiti Beach in Saint Tropez, to little beach shacks. 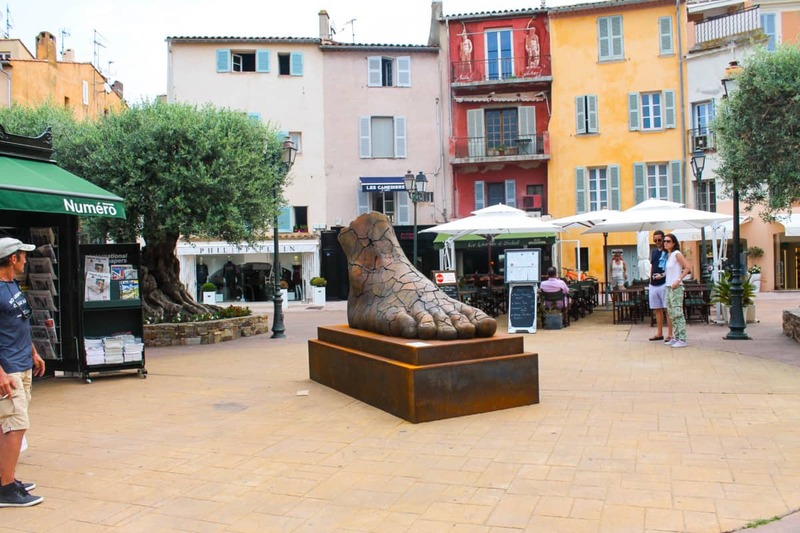 Actually, this is one of the most interesting things about Saint Tropez. It is the most egalitarian place! Multimillion pounds yachts and just up the road caravan parks so there is something for everyone. 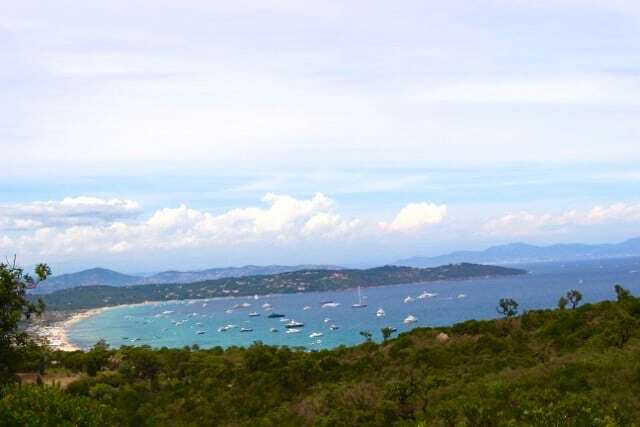 I like to drive out of Saint Tropez and turn first left towards Baie de Pampellone and the beaches of Ramatuelle. Keep going until you start seeing beach road turns on the left and take your pick! I have to find dog friendly beaches, for my two pooches and this rules out all the Saint Tropez beaches. If you keep driving along the road, the beaches get quieter with less people. 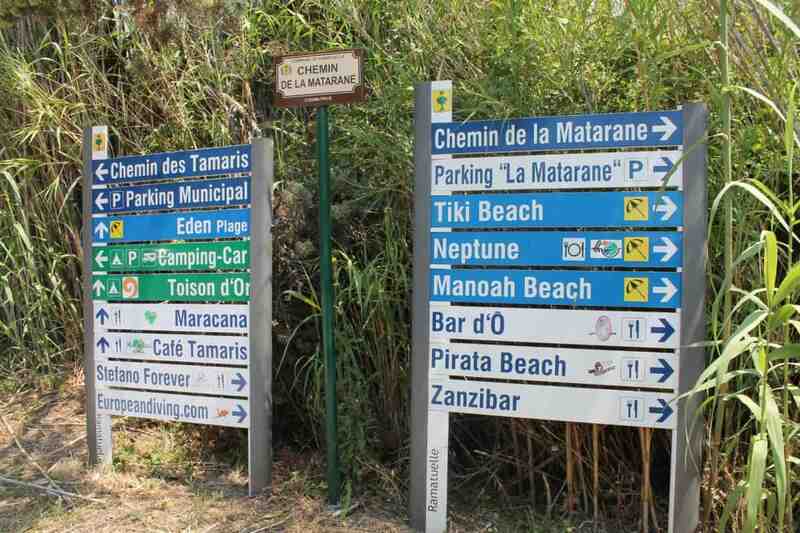 Turn right for the naturist beaches if you like skinny dipping! Lunch, swim and a little nap in the sun! 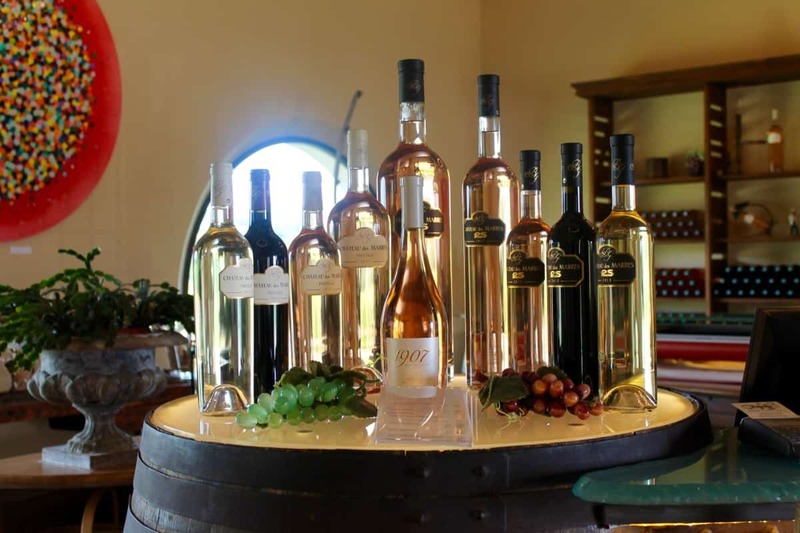 Revived and rested you will be ready to try some of the famous Rose Provencal wine! Again , spoiled for choice by the many little wineries you will spot as you drive along the roads. Time for an evening out in Saint Tropez. I hope you enjoyed our day out! 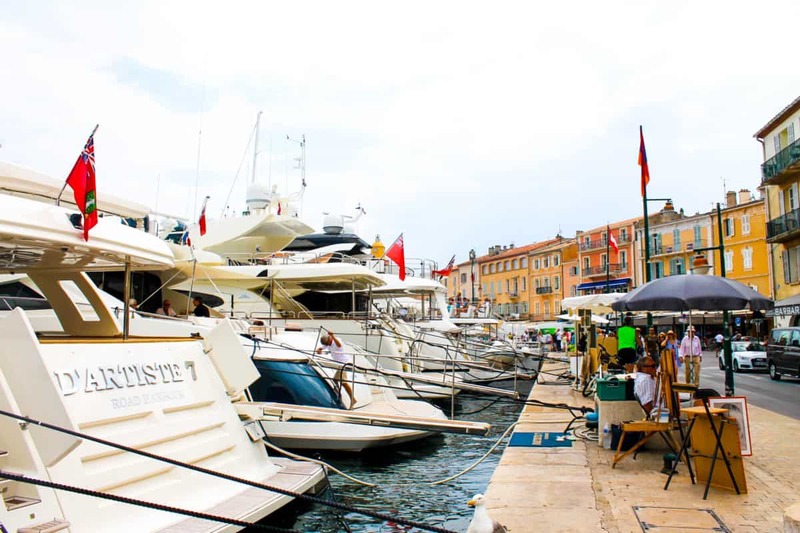 If you are visiting St Tropez just for the day, get here very early if you are driving! The road to St Tropez is grid locked all summer long starting from about 9.30 in the morning and this last most of the morning. On the return journeyout of St Tropez the road is one long traffic jam from 5 pm approximately until 8.30pm. It is much better to arrive by boat if you are coming from Nice just for a day, there are regular boats from Nice Port and it is a very nice view all the way and takes about 2 hours. 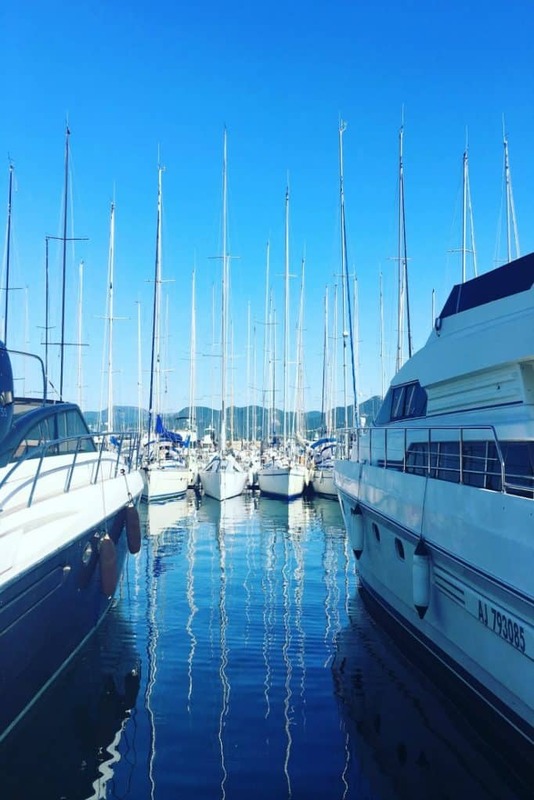 You can also leave your car in St Maxim or Frejus and take a boat to Saint Tropez. However, if you are staying here, just arrive outside that morning rush (in the afternoon or very early in the morning).